Dr. Kenneth Calvert and John Miller discuss Jesus’s ministry in the context of philosophy. According to Dr. Calvert, if Jesus’s teachings were pure social philosophy, they would been supported rather than condemned by the political and religious establishment of the day, which thrived on peace among the populace. The violent response that Christ received from those authorities, if nothing else, points to the radical nature of his claims setting them apart from mere social philosophy. The following video is a clip from Hillsdale’s Online Course: “Western Heritage,” featuring Kenneth Calvert, Hillsdale Academy headmaster and associate professor of history, and John J. Miller, director of the Dow Journalism Program. We read in this class a lot of Plato. We've heard about Socrates, the Greek philosophers. A lot of people say Jesus was a philosopher, a kind of profound social philosopher, but they question his divinity. Does Jesus allow us to do this? Are we allowed to think of Him in this way? I think that Jesus is much more complex than that. I think that He honestly does not allow us to leave Him as just a philosopher. If you look at His philosophy, what are some people pointing to? They're pointing to the idea that He says to sit and sup with your enemy, to pray for your enemy, to love your neighbor. And all these things are good things and part of Jesus's teaching, but understand that there are lots of people saying that. The Roman Empire loved that kind of message because it made people peaceful. The Roman Empire isn't going to crucify somebody for teaching someone to love his neighbor. It's just not going to happen. There's much more to Jesus's teaching that you have to pay attention to [in order] to really understand the anger, the reactions from the authorities and from others in Judea to Jesus. He said things like, "You have heard it said, but I say..." So he places Himself in greater authority even than Moses and greater authority than the prophets. There's something going on there that is more profound than just a social philosopher. He also goes to the extent of saying that He is the fulfillment of Old Testament prophecy. When a portion of Isaiah is read in the synagogue, He says, "What you have heard read is being fulfilled here in your midst." This caused people to pick up stones to stone Him. What is He claiming about Himself, that He is the Christ? He claimed to forgive sins. He says, "Your sins are forgiven. Now go and sin no more." This is a pretty high level of authority that He's claiming for Himself. Finally, you have in the book of John...many of these instances are throughout the Gospels, but particularly in the book of John, the Gospel of John, He even goes so far as to say, "I and the Father are One." He's making some pretty significant claims about Himself. C.S. Lewis, the Christian writer of the twentieth century, summed it up, and I'm paraphrasing, the idea that this guy was either Lord or He was evil, claiming some things about Himself that you should not claim. Or he was a lunatic on the level of a poached egg. Jesus [also] talks about the kingdom of heaven. This is a theme throughout His preaching. 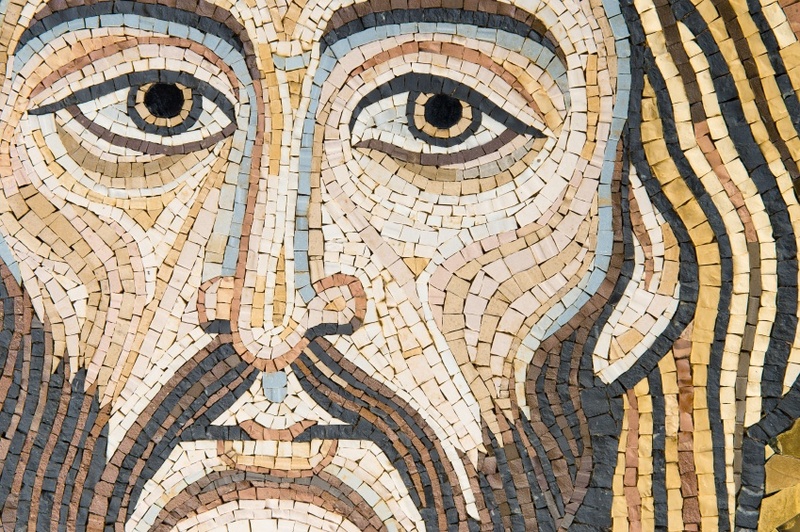 When you look at Jesus and what He offers us about Himself and what you glean from the Gospels, it's not just social teaching. It's not philosophy. It is much more on the level of a divine utterance, of divine authority.